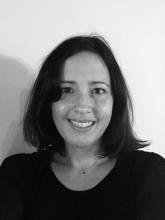 Dr Sian Morse-Jones is a Research Fellow within the Centre for Research in Social Simulation (CRESS) at the University of Surrey. She is working on phase 2 of the Nexus Shocks project on ‘Informing decision-making and resilience to nexus shocks’. Her research focuses on improving decision-making and resilience in the food, energy, water, and environment nexus in response to climate and weather related shocks. Sian has worked in sustainability for over 10 years, managing and contributing to a range of projects with academia, NGO, government, and business. Most of her work has focused on improving understanding on the value of the natural environment to support better decision-making, by applying and developing natural capital and ecosystem service valuation approaches. She is skilled in stated preference economic valuation techniques, quantitative research methods, and qualitative research methods, including semi-structured interviews and focus groups. Sian has a PhD in Environmental Economics and an MSc in Environmental Technology from Imperial College, University of London, and a BSc (Hons) in Geography from University of Southampton.